Photos by Mike Yip (top left), Christian Kelly (bottom left), and Kim Wetten with the VIU Bird Banding Project (right). 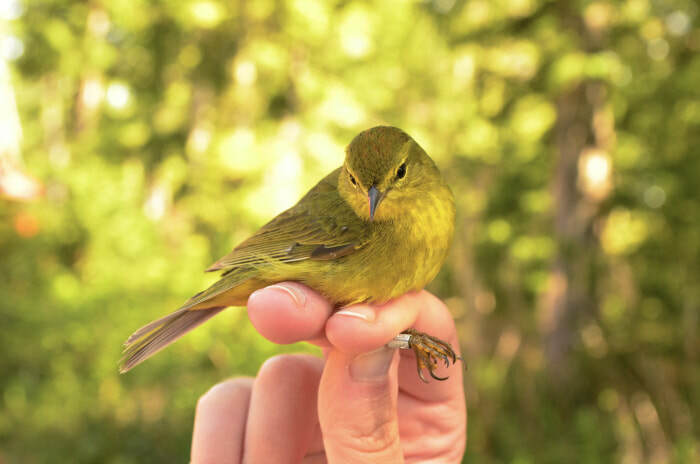 This small songbird, measuring 13 cm long, varies from yellowish olive-green to a more drab greyish olive-green. Its head, back, and wings are darker than its undersides, the underside of its tail is yellow, and the sides of its breast are faintly streaked. Its dull orange crown is generally only visible up-close, and is absent in some females and juveniles. There are four subspecies that differ in colouring and size; the Pacific coast subspecies, lutescens, is the brightest yellow. 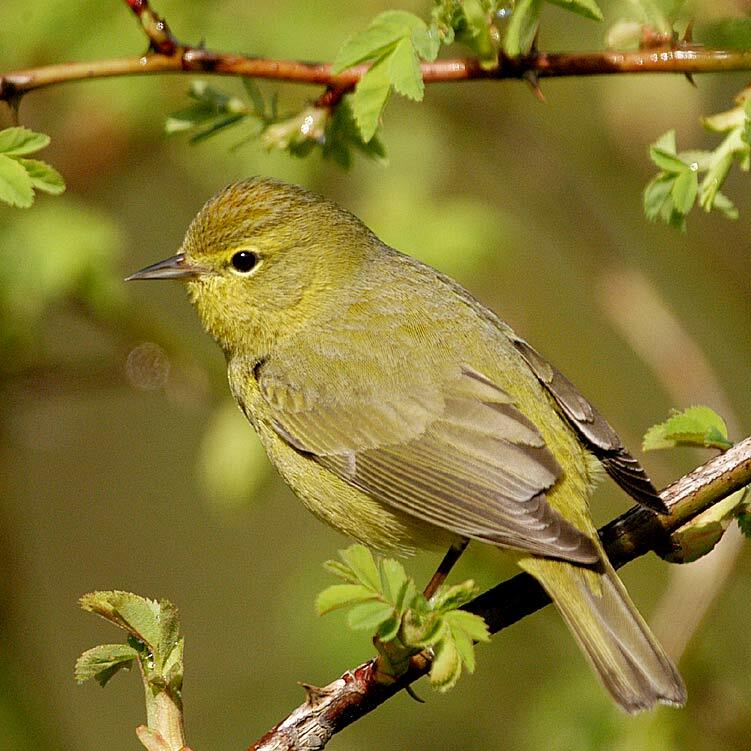 The orange-crowned warbler's song is a fast trill that changes in pitch near the end. This species is common on the Central Coast during the summer breeding season, where it nests in moderately dense foliage in forest understories, thickets, and groves near streams. Its summer range stretches across much of Canada, Alaska, and the northwestern United States. It winters in similar habitats in the southern United States, Mexico, and Central America, and is found year-round in some select areas of the United States' west coast. 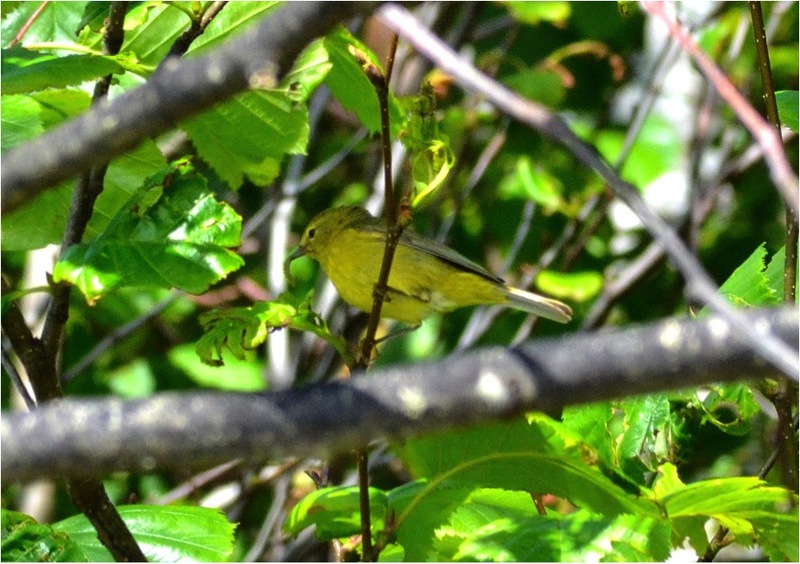 The Tennessee warbler's summer range includes the North Coast and potentially more northern areas of the Central Coast. 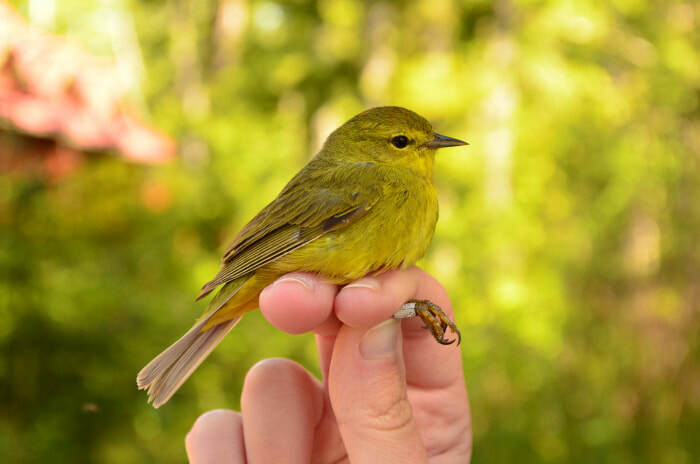 It has similar colouring to the orange-crowned warbler, but is distinguished by the white undertail coverts, versus the yellow of the orange-crowned warbler, and by its whitish-yellow underside. Dunn, J. L. and Alderfer, J. (Eds.). (1999). National Geographic Field Guide to the Birds of North America. (3rd Ed.). Washington, D.C.: National Geographic Society. Pp. 368-369. Orange-crowned warbler. The Birds of North America Online (A. Poole, Ed.). Ithaca: Cornell Lab of Ornithology. Retrieved from the Birds of North America Online. Accessed 15/09/2013.